Feed your skin what it needs with beautiful ingredients to nurture, hydrate and moisturize. Targeted treatments with important AHA, BHA & Retinol for repairing and streghthening the skin. The results of All Natural Skin Care will leave you with glowing skin! Holds 1,000 times its weight in water to hydrate skin, repairs tissue and holds together the structure of the skin, collagen and elastin. It's a light weight molecule, it is a very powerful humectant! Over time your body produces less Hyaluronic acid, causing major loss of hydration and glow. 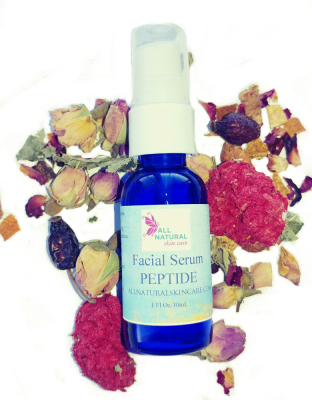 OUR SOLUTION: Our beautiful Peptide Serum contains a delicious dose of Hyaluronic Acid. Feeding the skin exactly what it needs, keeping it plump, hydrated and young-looking. What makes us all so beautiful? Is it all in the eye of the beholder? Is it the qualities of patience, trust, confidance, honesty, persistance and loyalty. 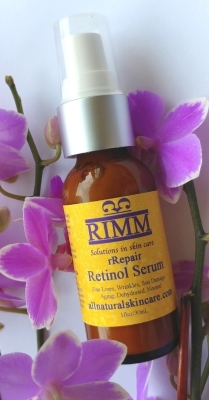 Retinol: Purest form of Vitamin A; reduces wrinkles and signs of aging by working to repair DNA in individual cells. Vitamin A is a strong anti-oxidant and promotes the growth of new cells. Helps reverse the signs of aging by repairing sundamage, diminish hyperpigmentation, help to fade brown spots, smooth the skin and reduce the look of lines, wrinkles and large pores over time, re-energizing aging skin. Get Your Glow Back Again! A favorite amoung women + men who simply want the best for their skin! 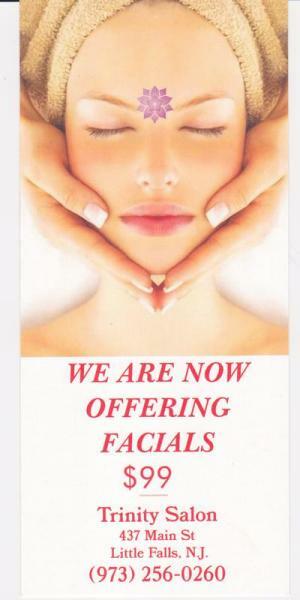 My Facial Treatments are 90 min each. Addressing your skin care concerns! Come Visit me for the most beautiful facial of your life. Rest your mind, body and soul. Let me pamper you and jump start your skin again! Giving you the most beautiful treatment for glowing skin. To SCHEDULE a FACIAL with RITA please call Trinity Salon!